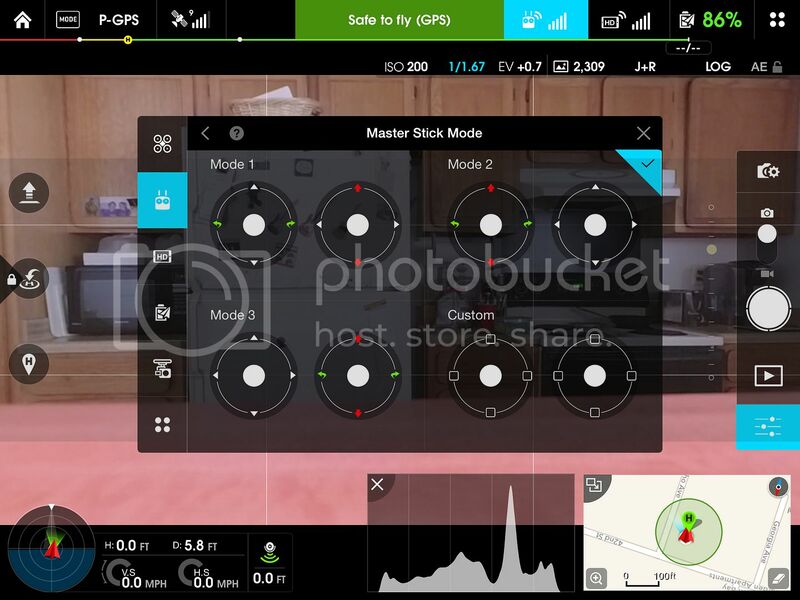 Is there any instruction available on the 3 modes under Master Stick Mode in DJI GO app or how to create a custom mode? I'm trying to make my flight sticks mimic my sticks on my helo demo. I want the right stick , when I press it down, to make the drone go forward. By default, the Remote Controller is set to Mode 2. This means that the right control stick controls the movement of the aircraft and the left control stick controls the throttle and orientation of the aircraft. These controls can be changed to Mode 1 - while changing to mode 1this would reverse the function of the sticks. 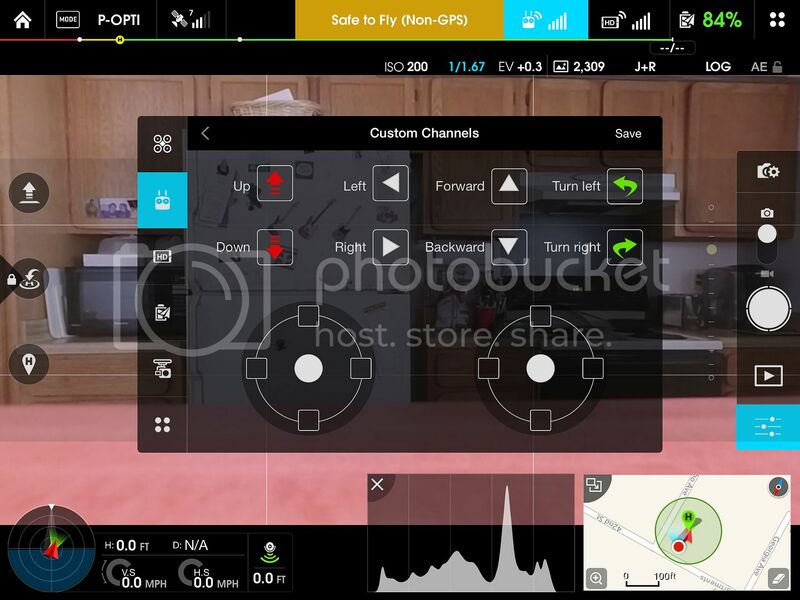 Or you can set to a customized configuration in the DJI GO app. This is only recommended for advanced users. Thanks, are you able to reverse the directions on the app? For example, make the aircraft fly forward by pressing down on the stick? Yes pretty sure you can map the controls so they are reversed. I saw these a while ago on this forum. Power everything up and connect - press the RC icon on the DJI Go app, then select "stick mode - then - custom. Just drag and drop the function you want to each stick position! Good luck.